Engagement in sport across Europe is at an all-time low. Beyond the individual costs of inactivity, communities across the continent are increasingly feeling the strain in the form of less inclusive populations, higher health care costs and fewer opportunities for employment. The European Week of Sport is an initiative created by the European Commission to combat this trend and encourage individuals to be active on a regular basis. During the week, public sporting events will take place across 18 European countries. The events will ensure that every European citizen has the opportunity to participate in sport, regardless of age, gender, ethnicity or socioeconomic background. 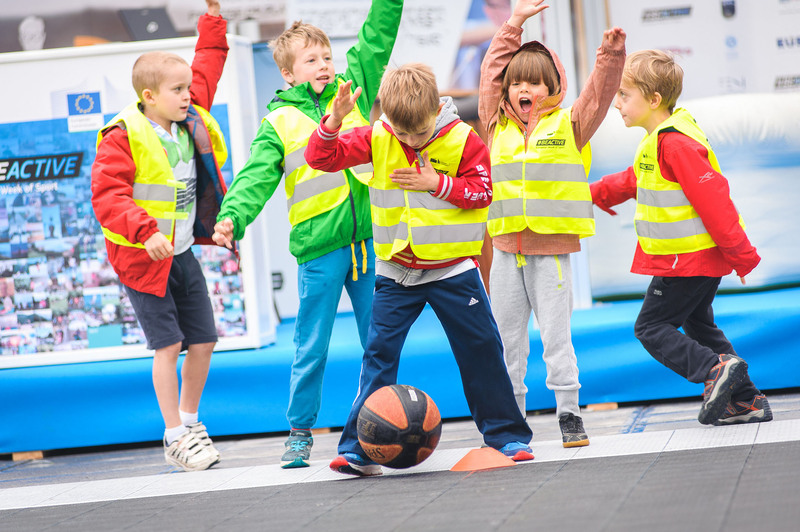 streetfootballworld network members will be active during the week to demonstrate how sport can connect individuals to values of fairness, respect and tolerance. Sport Against Racism Ireland (SARI), for example, will host the 20th anniversary of SARI Soccer Fest to launch the European Week of Sport in Ireland. CAIS Association will mark the week with their Futebol de Rua Grand Finale featuring 250 participants from disadvantaged communities across Portugal. And RheinFlanke will host a 10-year anniversary celebration tournament in Germany. To find an event near you, check out the European Week of Sport website.